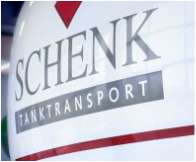 Schenk Tanktransport is a dynamic and specialised international tank transport company with Dutch roots. Business activities involve the transport of fuels, lubricants and industrial gases. These goods all require dedicated transport equipment “in the colors of the customer”. Schenk is well represented in North West and Central Europe by their branches in the Netherlands, Belgium, Luxembourg, Germany, Poland and Austria. The company has 600 trucks. The position of planning supervisor was open after an internal promotion. De Putter & Co, who has worked for Schenk since many years, started the search for a new planning supervisor. Jan Teniers recently joined the team. He has a lot of experience in the transport industry.